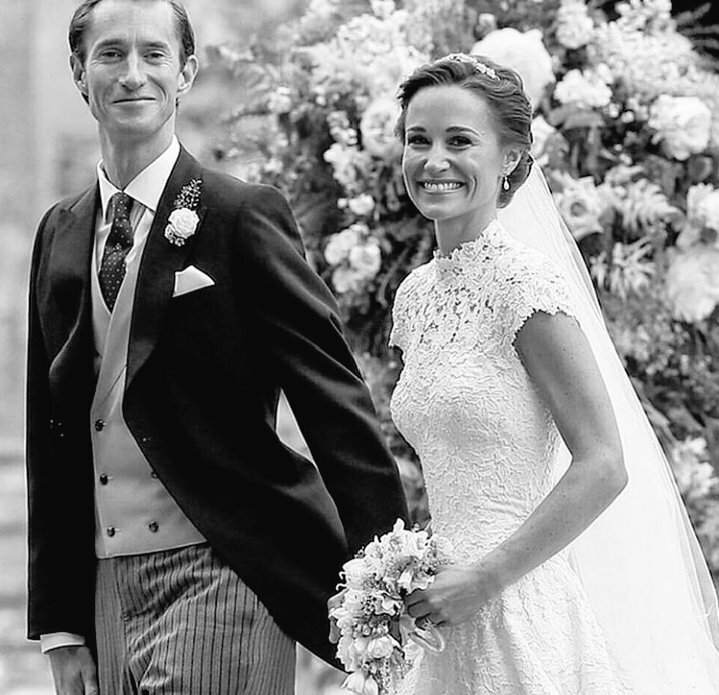 Socialite Pippa Middleton, who came quite into the limelight at her sister's Duchess of Cambridge Kate Middleton's wedding, had her own share of limelight as she wed James Matthews in a beautiful ceremony today at St. Mark's Church. 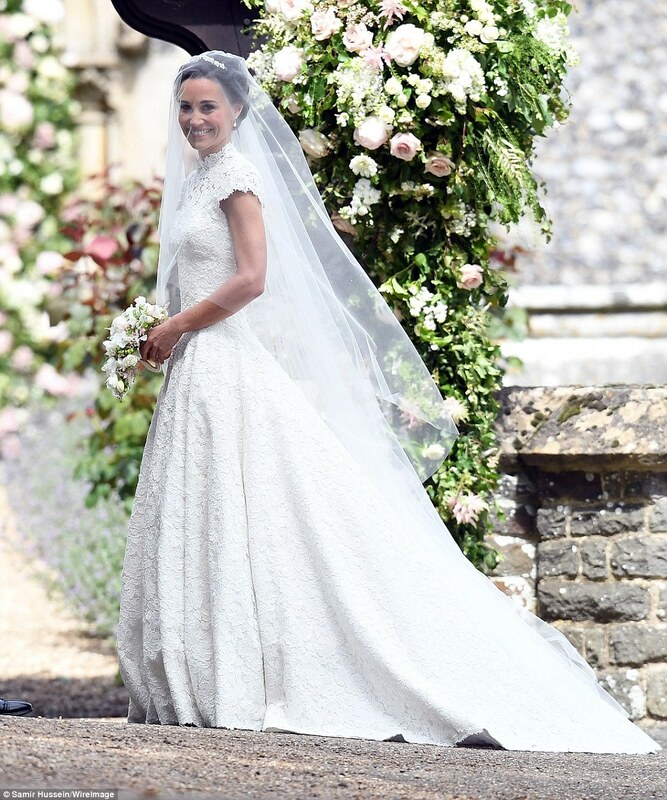 The 33 year old looked stunning as a regal and classic bride who wore white complete with a classic veil, and allured in her figure-flattering Giles Deacon dress,made entirely of guipure lace. The bride and groom had been friends for over ten years, but started dating last year, and said their vows in front of friends and family, their wedding being a close-knit affair. 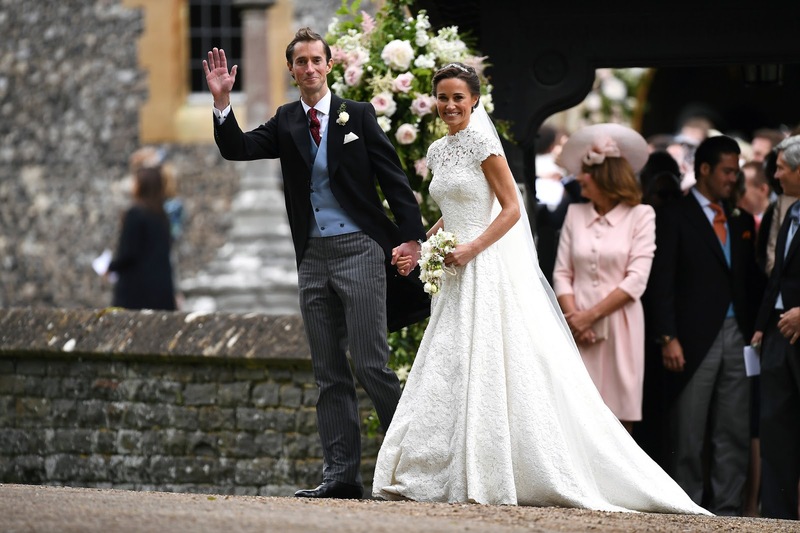 Pippa was escorted by her father Michael Middleton as she arrived for her wedding to James Matthews at St Mark's Church in Englefield, and all eyes were on her glamorous white lace dress. 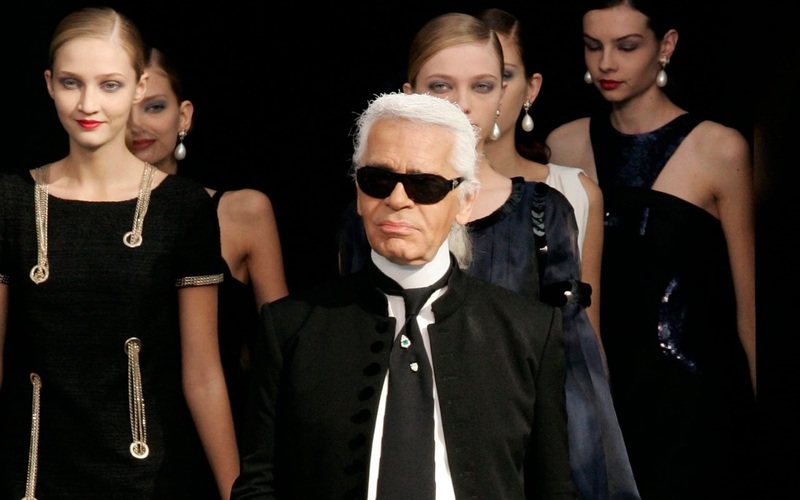 The bespoke Giles Deacon dress, was crafted to create the impression of being seamless, and Giles Deacon remains a celebrity favourite, with Kendall Jenner being a massive fan of the designer. 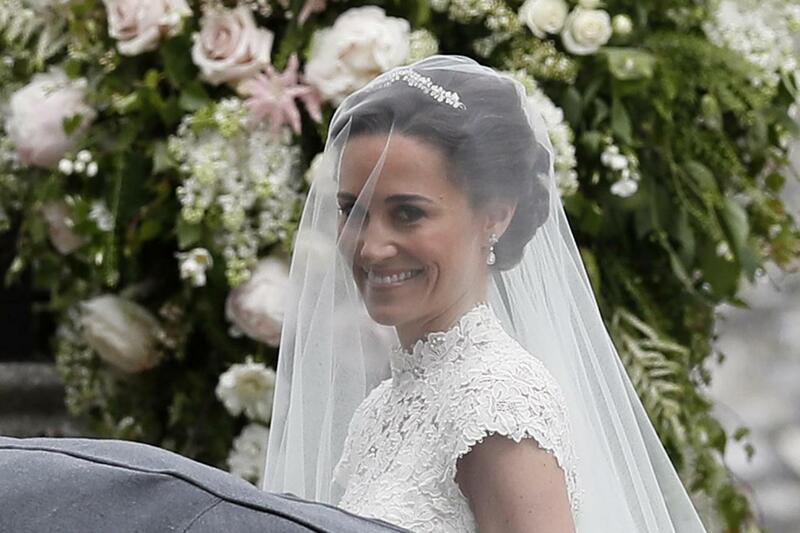 The dress was teamed with a Stephen Jones veil, a Maidenhair Fern tiara, and Manolo Blahnik ivory satin shoes. 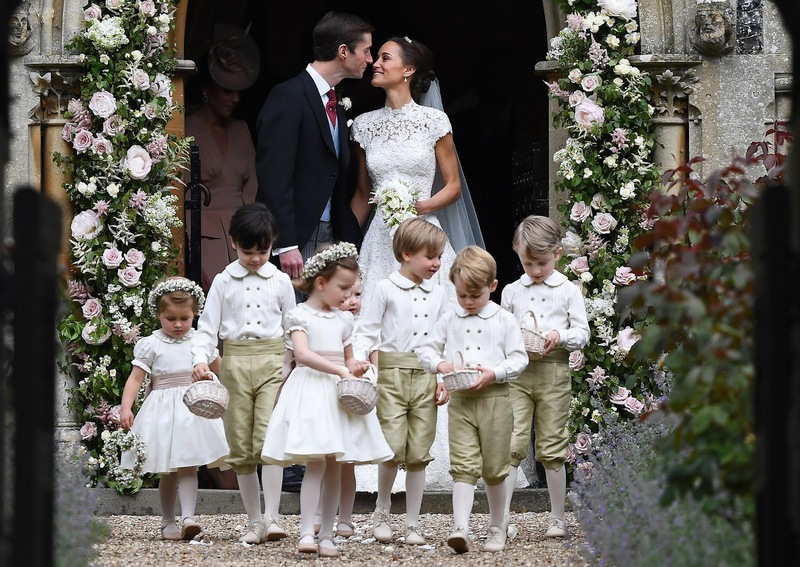 Pippa's floral lace dress also featured little capped-sleeves and a pretty high-neck, and the brunette carried a small bouquet of white roses in her hand, while her make-up was minimal with pink lips and a touch of blusher on the cheeks. 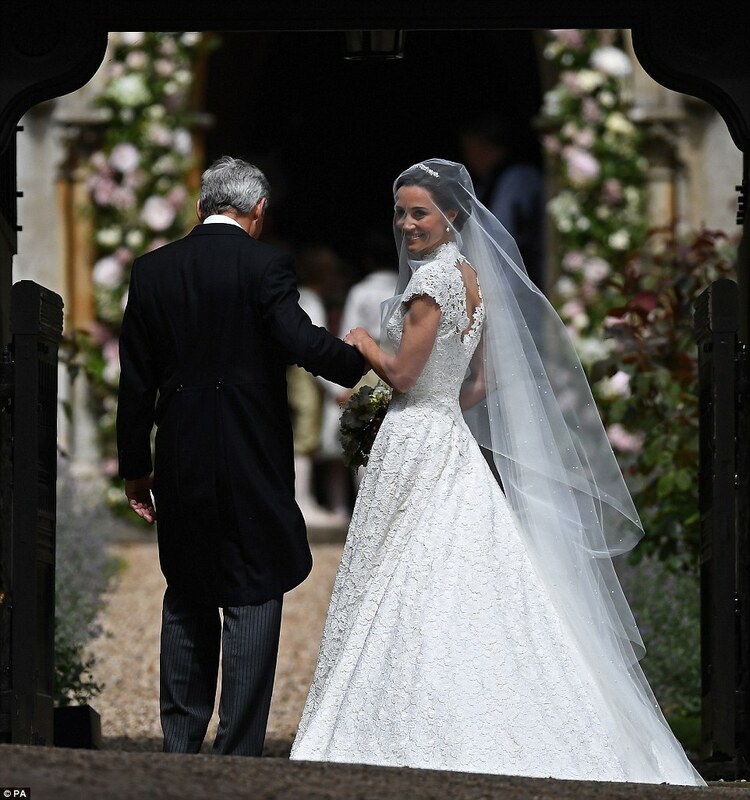 A dazzling diamond ring was also spotted on Pippa's ring finger, as she waved to crowds when she left the church with Matthews in a Jaguar E-type, and made her way to the reception that was held at the Middleton mansion. 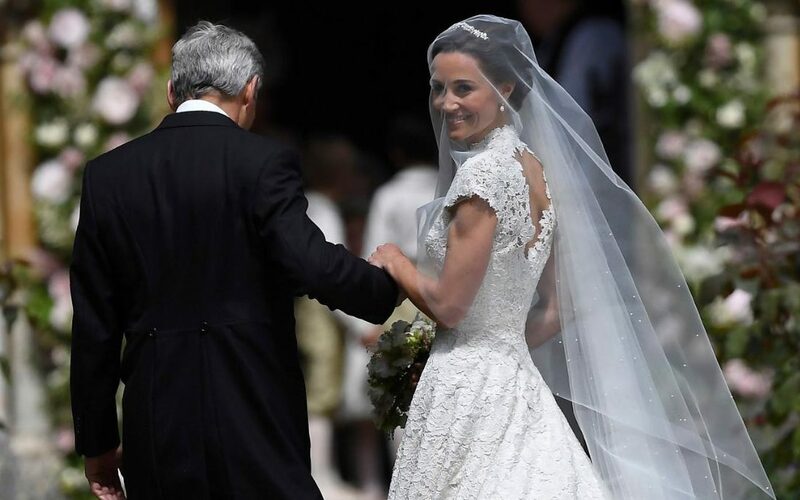 Guests including the Duke and Duchess of Cambridge attended the wedding of Pippa Middleton and James Matthews, along with friends and family, and tennis star Roger Federer.